Phyllis Relph’s quite young stage debut was in Bootles’ Baby when she was just one and a half. Bootles’ Baby (1885) was a play by Henrietta Stannard who used the nom-de-plume John Strange Winter. 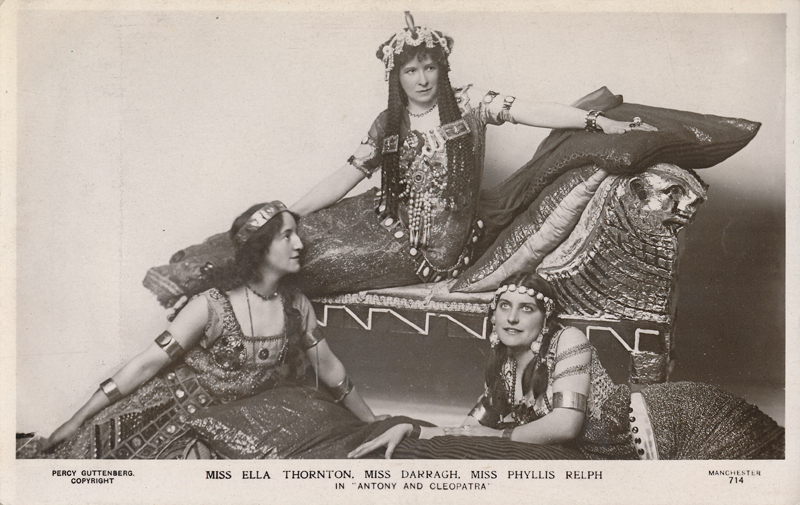 One of her first parts in Shakespeare came in 1908 when, with Miss Darragh, she played in Antony & Cleopatra at the Queen’s Theatre, Manchester. 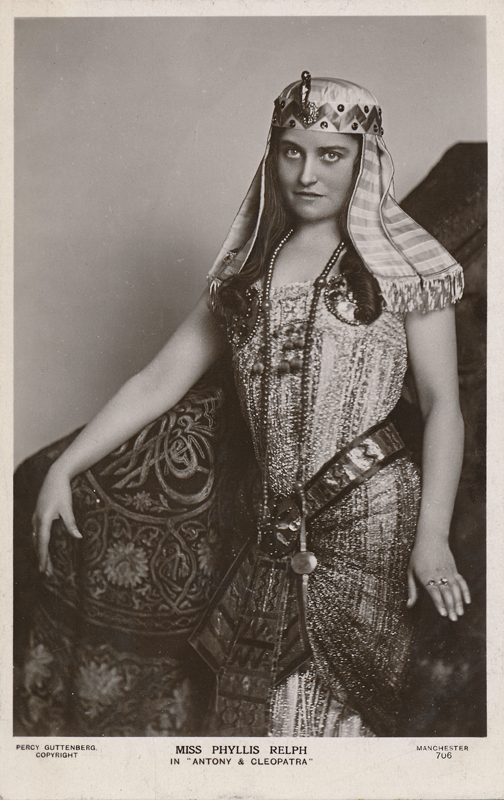 At the Savoy Theatre, London, in 1912 she played Helena in A Midsummer Night’s Dream and Viola in Twelfth Night. A particularly busy year was in 1919 at the Stratford Shakespeare Festival where she played Portia, Imogen (Cymbeline), Ophelia, and Viola during the few weeks of the festival. Her last recorded part in a Shakespeare play was in 1920 when she played Katherine in Henry V.